Entrancing tales and a sparkling pop outlook: Sayonara Saigon is the forthcoming 4-song EP from bewitching Oslo singer/songwriter Mikhael Paskalev. The captivating, globetrotting Scandinavian has already charmed the pants off his native homeland and the folks Down Under, and now Paskalev is headed to North America this fall to tour with rising acts Courtney Barnett and San Fermin. Paskalev set the music world aflutter last year when he donned a pair of tighty whiteys and “pretended to be Tom Cruise.” The cheeky ‘Risky Business’-inspired video for the single “I Spy” turned Paskalev into a star back home in Norway and amongst the Aussies this past year, amassing over 2 million YouTube views around the globe. The jubilant, all-in crowd sing-a-long has become a commercial hit in Norway, a Triple J Radio staple in Australia, and has traveled to the United States, landing 5.5 million Spotify plays thus far. Steeped in rocking, ‘50s and ‘60s style vibes, Paskalev – who grew up in the northern Norwegian town of Ålesund with dreams of becoming Jimi Hendrix – is a romantic at heart. Additionally, Paskalev admires the songwriting and production of earlier days. “Think of Elvis, The Mamas & the Papas, or Sonny and Cher’s ‘I Got You Babe,’” he says. “If you listen to the song right now, it’s really cool and the production is timeless.” Paskalev took this ideal to heart and together with producer Joe Wills, who he met while studying at The Liverpool Institute for Performing Arts, has crafted timeless melodies and songs full of lo-fi, scrappy spirit. Further on the writing and production process, Paskalev recalls ditching earlier sessions with a big name producer after realizing an essential ingredient was missing. On stage meanwhile, Paskalev is a natural, all charismatic hips and electric energy: “Swaying from smooth, enchanting delicacy to a howling croon in a heartbeat,” raves The Line Of Best Fit. Shamelessly catchy and utterly winsome; from the lo-fi openings of “I Spy” to the cinematic goodbye of closer “Sayonara Saigon” (inspired by watching Robert De Niro and Christopher Walken in ‘The Deer Hunter’ – Paskalev is a movie buff), the Sayonara Saigon EP is both intelligent and irresistible. 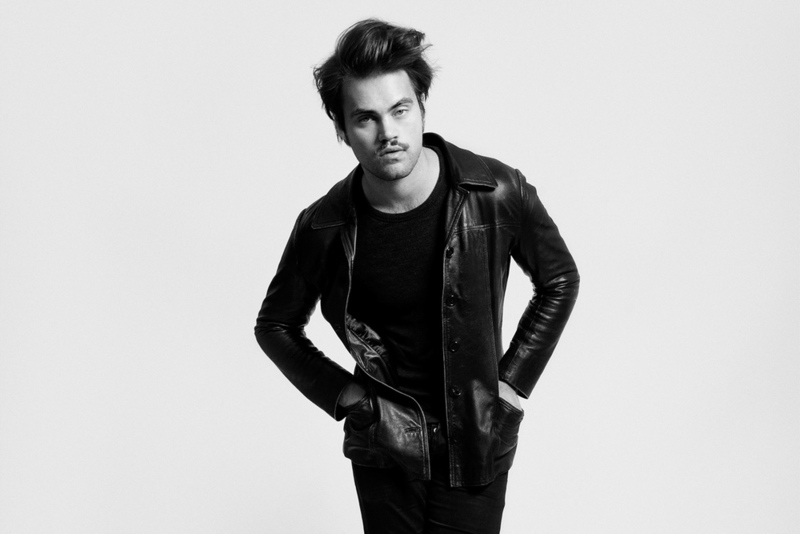 Meet Mikhael Paskalev and prepare to fall in love!